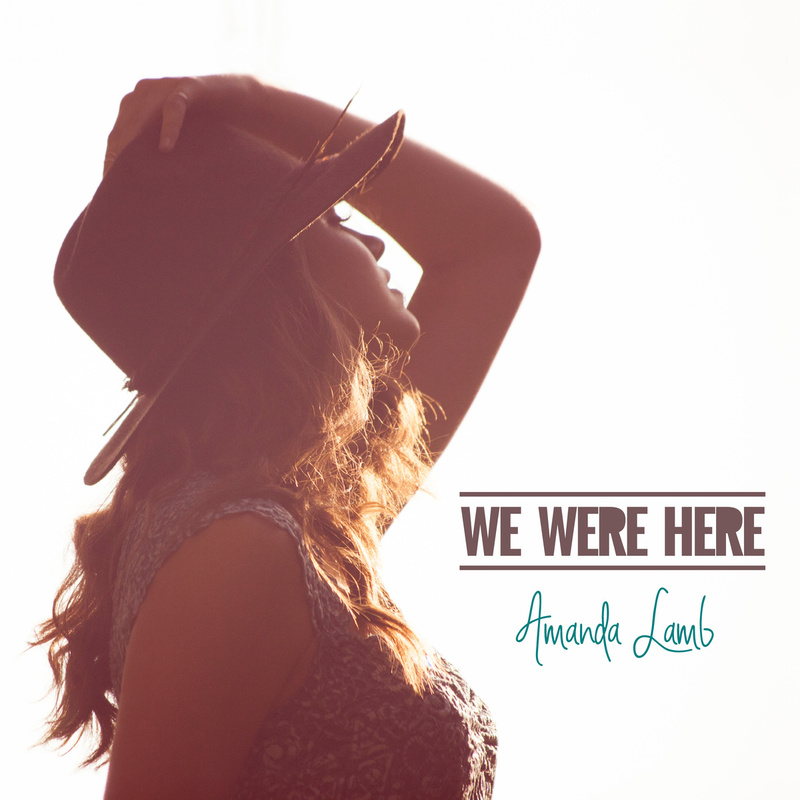 Despite her age (only 20), there’s an unmistakable sense of nostalgia attached to singer-songwriter Amanda Lamb’s new EP We Were Here, a wistful set of songs that embraces the country-pop influences of her adolescence. Reflecting both the bold aspirations of youth and the bittersweet loss of innocence, We Were Here finds the Southern California native eager to leave her mark on the world. Lamb’s confident vocals and candid admissions speak to her potential for leaving her own lasting legacy. In terms of subject matter, country music staples are largely absent on We Were Here. Lamb focuses on recounting her own truths and experiences, rather than penning songs that feature an overly romanticized version of a country lifestyle. Producer Kent Wells is tasked with credibly bridging the creative distance between Nashville and Orange County. Aided by a strong team of Nashville session veterans, he does this by allowing Lamb to be herself while also showcasing her appreciation for the types of story songs that are so central to the genre’s DNA. A large part of Lamb’s appeal is her conversational approach to addressing the glories and vulnerabilities associated with coming of age. On “Wild Rose” she paints a fully formed picture of a young woman on the cusp of adulthood, caught between explosive pride and hopeful uncertainty. Lamb’s knowing narrator slips into the role of a pragmatic big sister, offering empathetic encouragement to both her protagonist and any listeners who may be struggling through similar growing pains. Personal anthem “Something in the Blood” affirms the resilience required of those who might feel like outsiders. “I’m made a little different but I’m not broken,” Lamb (who was diagnosed with Type 1 Diabetes as a toddler) asserts. She later acknowledges, “Sometimes I wanna quit/Somedays it gets ugly/Somehow I rise above it,” demonstrating the composure that drives so much of We Were Here. Lamb notably applies her keen eye for detail to the album closer “Endless Summer,” a nuanced ode to beach towns that transform into ghost towns once the chill of autumn and winter arrive. Acting as a lament for a way of a life and a realization of inevitable change, it is arguably the EP’s most arresting number. Regardless of one’s place of residence, anyone can appreciate the fleeting feeling of freedom captured by the song. While Lamb is still developing as an artist, We Were Here offers a glimpse of a bright talent that is just beginning to reach a larger audience. In the jubilant title track, she speaks of the urge to “Play our guitars in the next random town/Sing some songs to make all the people smile.” Listeners will likely hope for that wish to come true sooner rather than later.